Let me guess. You need a change to your website, so you contact your webmaster. Then a week goes by. And another week. You remind them. And your update finally happens, at $80/hr. Well, it really doesn’t make sense to pay someone to type for you. With WordPress, you can log into your site and make changes and add images in minutes. WordPress is the #1 CMS (content management software) by a large margin. The support and resources are phenomenal. You will save a fortune over time using WordPress. Contact me and I can give you an estimate and a benefit-cost analysis. 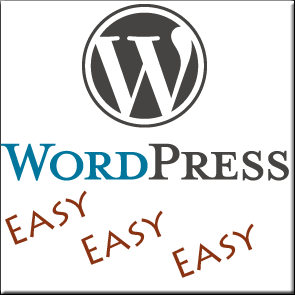 The remarkable thing about WordPress is that not only is it incredibly easy to use, but it is extremely flexible. Usually software that is very user friendly is not very flexible. It will only allow you to do certain things. But with WordPress, since it is open source software for which there are thousands upon thousands of plugins written, what you can do with WordPress is limited only by your imagination. I must admit at first I turned my nose up at WordPress. I like to build websites from scratch. But after the first time I used WordPress, it was love at first sight. I was blown away by how easy it is to update WordPress. Truth be known, WordPress is very bad for my business. Most clients become adept at WordPress and in short order need my service very little. But were I to not recommend WordPress, I would be doing you a disservice. [icon name=icon-phone] Call me at 509-493-2296 and we can chat about how this all works.